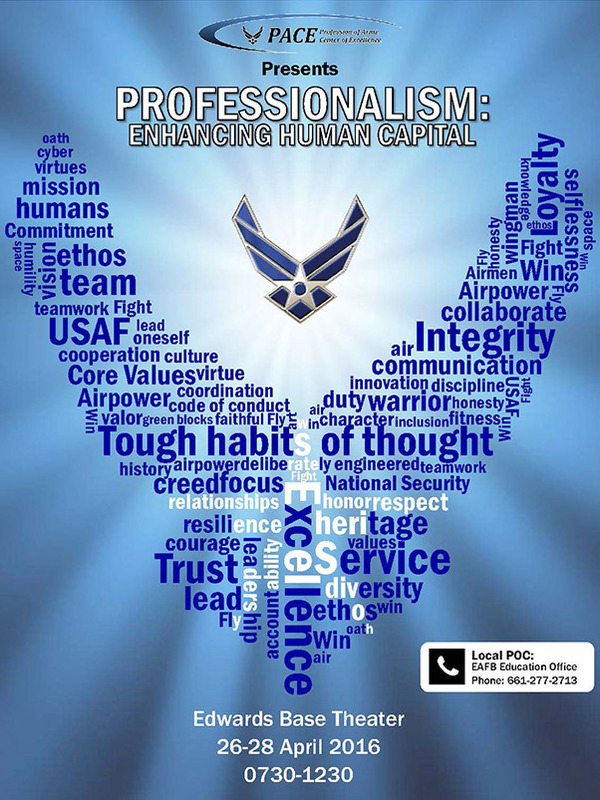 In the coming months, Air Force Materiel Command bases will host free presentations of “Professionalism — Enhancing Human Capital” from the Profession of Arms Center of Excellence. 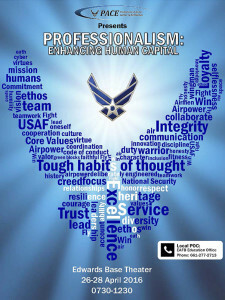 As part of PACE’s Character and Leadership initiative, “Professionalism — Enhancing Human Capital” examines how professionalism drives individual behavior and is the bridge that connects the Air Force Core Values to the Air Force mission. 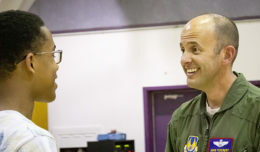 Edwards is the first in Air Force Materiel Command to host the free offerings of EHC. PACE representatives will deliver the EHC presentations at the base theater 7:30 a.m.-12:30 p.m., April 26-28 to different groups/units over the three-day period. The Air Force requires a clear and deliberate path for the development and determination of its future leaders. At the heart of this leadership requirement is the need for leaders to understand why people make the decisions they do and how perceptions and professionalism drive an individual’s behavior. As a result of this necessity, Chief of Staff of the Air Force, Gen. Mark Welsh, directed the activation of the Profession of Arms Center of Excellence March 2, 2015. 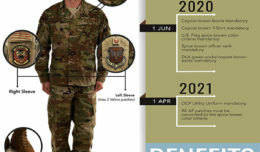 PACE is tasked as the Air Force champion focused on infusing Air Force Core Values within the Profession of Arms. It is committed to developing Air Force personnel with a professionalism mindset, character, and core values required to succeed today and into the future. Effective communication is not just about how to talk or present a brief. Effective communication as taught in this presentation is about building effective relationships that result in increased loyalty and trust. It is from the basis of trust that people can influence others and then shape the commitment to our Air Force core values. This presentation examines the psychology of trust, authority and influence. By better understanding these principles of the human condition, people can better build healthy relationships that provide an opportunity for positive influence. For more information on the PACE presentations at Edwards, contact Beth Hodge at 661-277-1947, email elizabeth.hodge@us.af.mil, or Sabrina Murray at 661-277-3846, email Sabrina.murray@us.af.mil.